For the 2014 model of the Range Rover Evoque, Land Rover is pulling out all the stops packing the new model with a host of features. It's been their top selling model crossing the 170,000 units mark in just 18 months. We had a chance to drive the new compact SUV in Frankfurt and were able to experience just how some of the new features worked. 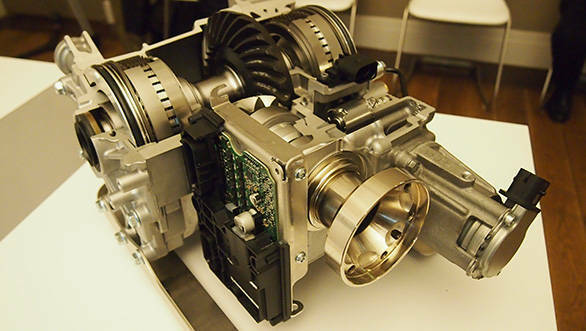 On the top of the Ranger Rover's lengthy new features list is the new ZF 9-speed transmission that promises a wider spread of ratios improving fuel economy while providing better performance as well. The ZF 9-speed automatic transmission features an ultra fast response time and an adaptive shift programme that quickly matches the style of driving. While driving through the congested streets the shifts were hardly perceptible and the acceleration out of corners was smooth. It can skip gears when needed and the wider spread of ratios means that the gear box now holds 4 overdrive ratios though in the crowded alleys of Frankfurt there was little chance of getting past 5th. The other major change is the addition of the Active Driveline, standard on the Si4 variant, that is an 'on demand' four wheel drive system. It drives the front wheels for a majority of the time and when needed, for example when pulling away or when speeds exceed 120kmph, it transfers power to the rear wheels as well. This improves acceleration as well as high speed stability. There is a cool display showing which wheels are being driven on the central console too. The Active Driveline also helps in going around corners with a torque vectoring system (SD4 & Si4 variants) transferring drive to either of the rear wheels when it detects either under or over steer. This is done by the help of an electronic differential of e-Diff. And this also improves the off-roading abilities of the new Evoque. We cant wait to get our hands on one in an off-road environment to put it to test. Other new features focus on driver assistance helping out with automatically exiting a parallel parking bay (Park Assist), providing closing vehicle warnings and traffic sign recognition. 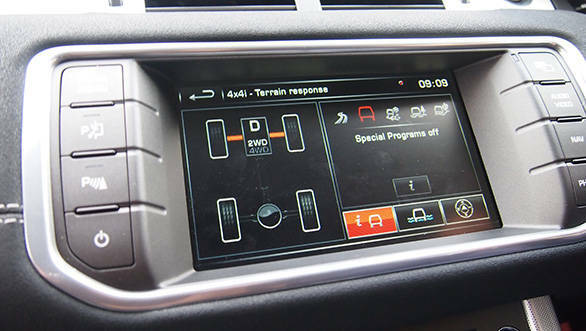 There is also the Land Rover InControl system that is built into the key fob that activates in time of an emergency by alerting emergency services about the vehicle's position in the event of an accident or a break down. 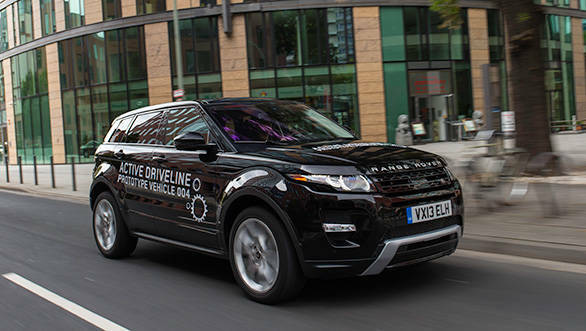 The updated Range Rover Evoque is already on sale in UK and Europe while bookings in India will open in the first quarter of 2014.